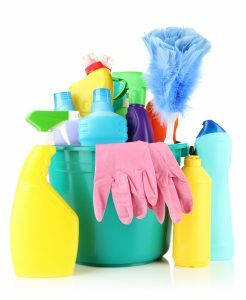 Peachy Clean Maids offers several maid service options to help keep your home sparkly clean. With our variety of weekly, every 2 week and every 4 week cleaning programs, we can accommodate your busy schedule. We also offer initial deep cleanings, move ins/move out cleanings and on call cleaning services for those last minute needs. Fronts of cabinets and drawers, small appliances including toasters and toaster ovens, coffee pots, inside and outside of microwaves, detail cleaning of all stoves (removing knobs and burners), outside of dishwashers, outside of oven doors, top and outside of refrigerators. Detail clean and disinfect inside of sinks, applying stainless steel polish when needed. Removing soap scum and detail cleaning all areas. High areas will be dusted with extension brushes that reach up to 11ft including ceiling fans, in the corners where cobwebs collect, sills, moldings, ledges, light fixtures and chandeliers. Low areas will be dusted and vacuumed with a backpack vacuuming system that our supervisor’s use for floors and detailed dusting. Low areas include, baseboards, edges of carpet, underneath furniture and in corners. Blinds and windowsills are dusted each visit. Chair railings, moldings, pictures, shelving and anything hanging securely on the walls are dusted. All furniture from top to bottom, legs of tables and chairs, lamps, decorative items. All surfaces are dusted with a cloth, no feather duster. All hard floors are vacuumed with our backpack vacuuming system, including staircase. All carpeted floors and rugs are vacuumed with our upright vacuums. Hardwood floors, laminate, tile and stone floors are mopped. Small bathroom floors are cleaned on hands and knees. We make beds, straighten beds, fold blankets and fluff pillows! Doors, light switches and receptacle plates are cleaned with initial cleanings, on call and move in/move out cleans. Trash is removed each visit. Inside and outside of all glass doors and sidelights are cleaned each visit. ** If there is no furniture then we will clean the inside of all the cabinets and drawers in exchange for not dusting the furniture.